Book clubs can be awesome… or they can also be a complete (and utter) nightmare. Yes, it depends on who is part of the group, but it also may be affected by a myriad of other factors. 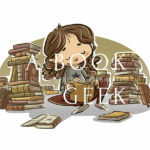 If you’re thinking about starting a book club, and want to look at a few cons, this article is for you! Why Not? Time: You don’t have the flexibility to schedule a meeting with your book club. Book Friends: You don’t have friends who you can rely upon to consistently commit to discuss books and authors with you. Resources: You can’t afford to buy books for a book club. Book Club Spot: You don’t have a location (literally anywhere) where you can host your book club. A List: You don’t have any idea which books would be good ones to discuss in a book club setting. Of course, now that you know some of the reasons you might have for NOT hosting a book club, you can easily look at the flip side of things. Why would you WANT to start a book club? Are you part of a book club? I have an editing group, but that’s different. Love your blog! I’ll be back for more.